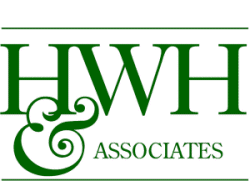 HWH & Associates are a well-established international engineering consultancy practice who have a strong international project base. The company is a British owned SME capable of meeting rigorous demands of technical and commercial requirements of construction and strategic development projects in Europe and the Middle East. We are making a significant contribution to the reconstruction development of Iraq. We have a permanent presence and a proven track record of project delivery in Iraq since 2003 with offices in Basrah and Erbil as well as project offices in Rumalia oil field. We have well-trained local and international staff of over 60 staff and increasing. We are committed to the long-term growth of Iraq as there is a significant role for all in the re-development and stability of the country. We have a close working relationship with higher and vocational training centers such as Basra and Salford Universities including partnering for local training and capacity building programs.